Make a big bowl of your favorite movie theater treat at home without messy cleanup or waiting for multiple batches. 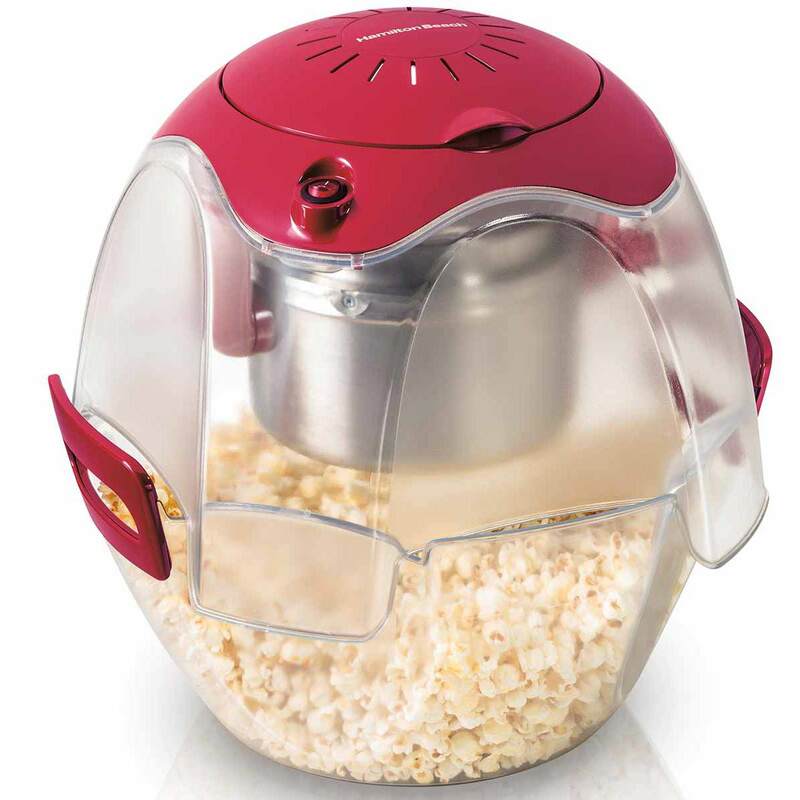 The Hamilton Beach® PartyPopper™ Popcorn Maker is very easy to use. Simply add kernels and oil, plug it in, and let the fun begin. 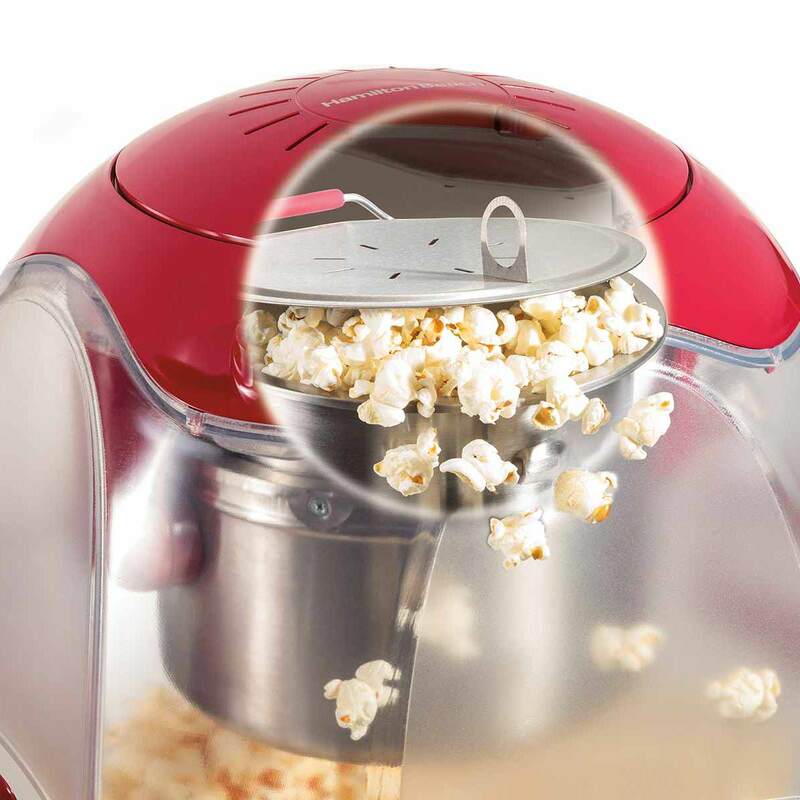 Everyone can have their own bowl of popcorn because this popper makes up to 24 cups in one popping cycle. The top of popper lifts right off and the base becomes the serving bowl. Customize the flavor by adding butter and seasonings to your liking. Preparing this snack is so simple, it will become routine during family movie night. The unique measuring cup lets you add the perfect amount of oil and kernels every time. 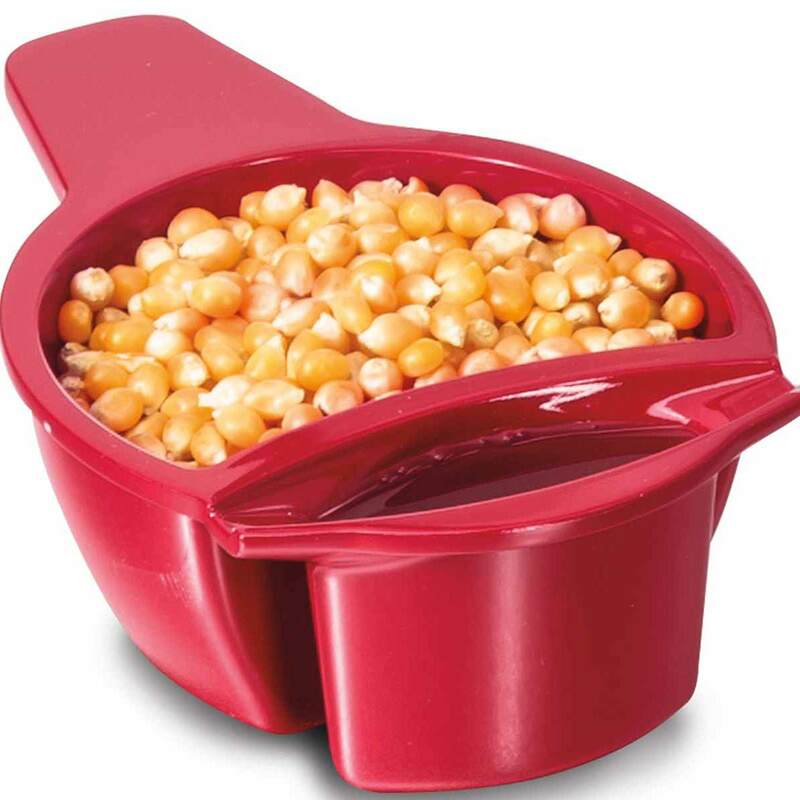 Pour into the popping chamber, turn on the popper, and get ready for the enticing aroma of freshly-popped popcorn. 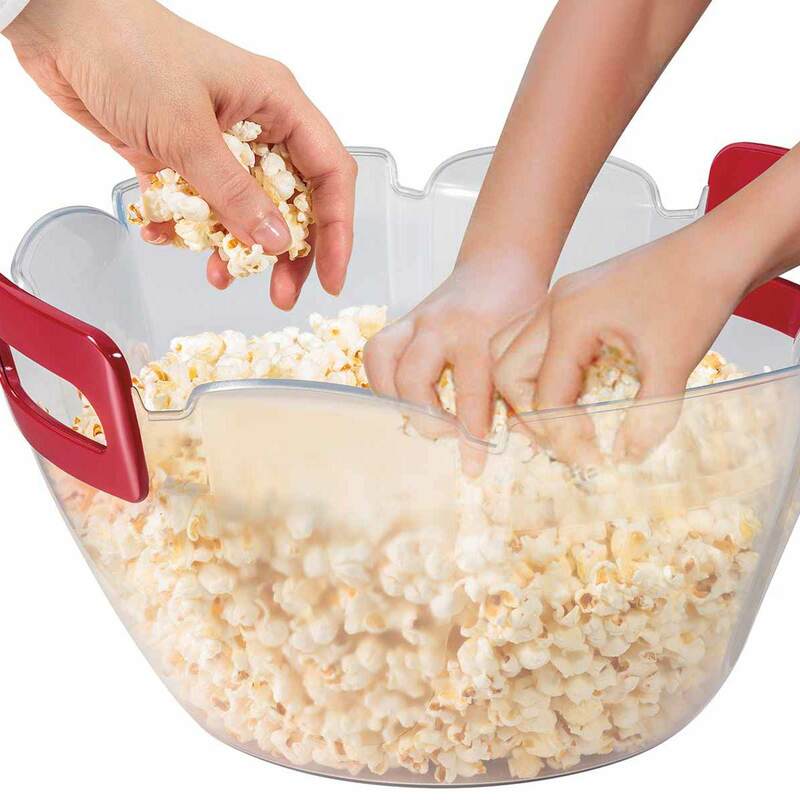 When the popcorn is ready, turn off the popper, unplug, remove the lid, and serve. The base conveniently doubles as a serving bowl. For compact storage, the top and bottom nest together. Whether it’s a date night in or a movie-watching party with friends and family, this popper delivers. Hot and delicious theater-style popcorn can be prepared and served right in the same bowl for parties or entertaining. 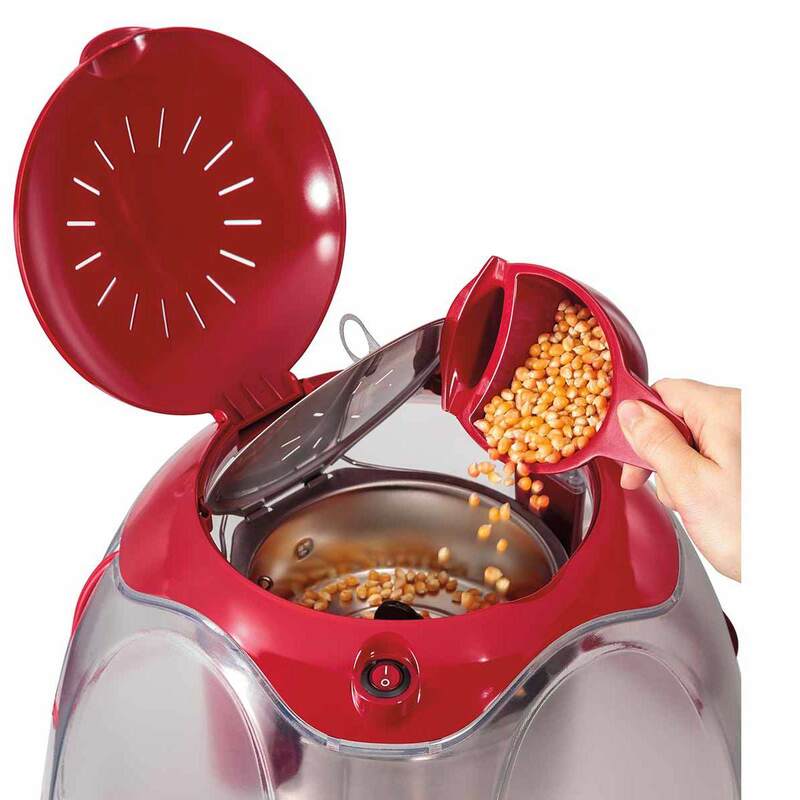 Measure your oil and kernels into the popping chamber and turn it on. 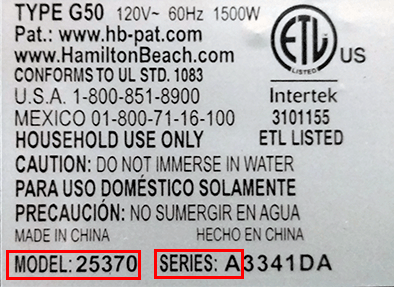 When the popping slows down to two seconds between pops, your popcorn is ready to eat. Pop any amount between 6 and 24 cups per batch. Traditional theater-style poppers have difficult to clean popping chambers that must be washed by hand. 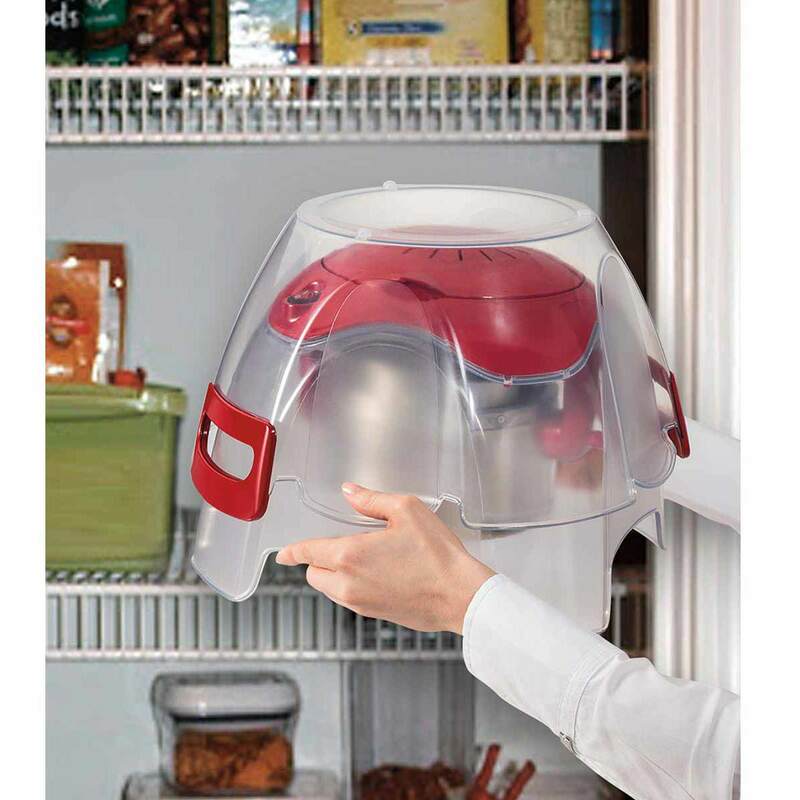 The PartyPopper™ has a removable and dishwasher-safe popping chamber for fast, easy cleanup. Wash the base in warm soapy water and easily clean the lid inside and out with a damp cloth. Popcorn kernels cost pennies per batch and everyone likes popcorn. Making your own popcorn lets you have complete control over the ingredients. Use different kinds of oil depending on your personal preference. Customize your snack the way you want; healthy or decadent, it’s up to you. Add melted butter and salt for traditional tastes or try something different like Parmesan cheese, chili powder or cinnamon sugar. Mix popcorn with roasted nuts, chocolate chips, and dried fruit to make a satisfying trail mix. The possibilities are endless. Not just for movie night, make it in advance as a snack to bring to the office or for a special treat in a child’s lunchbox. Do you like your popcorn sweet or savory? The Hamilton Beach® Test Kitchen offers some ideas for topping. In a small bowl, combine cheese, garlic salt, oregano, and basil. Drizzle butter over popcorn in serving bowl. Sprinkle with cheese mixture. Toss until popcorn is well-coated.